Set on sprawling acreage in the southern tablelands of NSW, the Deep Peace Farm Animal Sanctuary offers peaceful refuge for an abundance of wildlife and 460 domestic animals, who, like Bessie, were saved from homelessness and certain death, and will live out their lives in natural family groups and social systems. We are animal-loving writers Billie Dean and Andrew Einspruch. We founded the sanctuary 20 years ago and it’s part of the wider work of our not-for-profit charity, the Deep Peace Trust, which advocates for a more peaceful world for all. Today, urgent help is needed to help secure the hay needed to feed animals like Bessie and her calf, Blessed. We’ve been fully drought-feeding the animals for over a year through our own personal contributions. And now we are carting water as well. 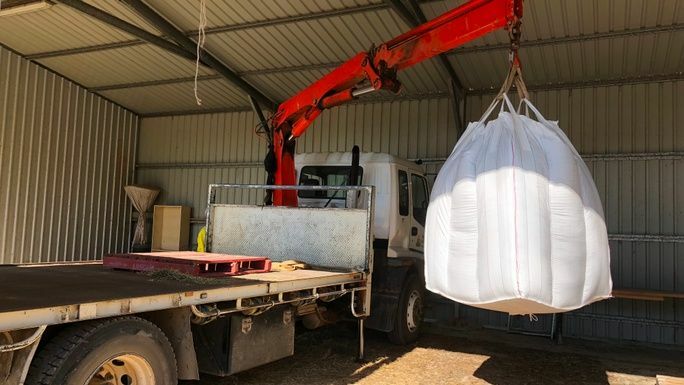 During the winter, we even help the wild wombats with oaten hay. But now, hay is getting scarce and everything is going up in price. Our winters here are bitter and long, and without their normal, natural grazing, the animals will not thrive. We need extra food to keep the animals warm, happy and healthy. We believe that by supporting a sanctuary, you make a statement that you want a kinder, benevolent world where animals are respected for the unique beings they are. Can you support one of the animals living out their lives in peace here at the Deep Peace Farm Animal Sanctuary? Your choice makes a direct difference to their lives in this very difficult time of serious drought and winter. We're looking to raise $45,000 to cover us for the next few months. We know it sounds a lot, but our winters are difficult here and we need the dollars to secure large truckloads of hay. The Deep Peace Animal Sanctuary provides a loving, safe forever home for animals like Bessie and her calf, Blessed. 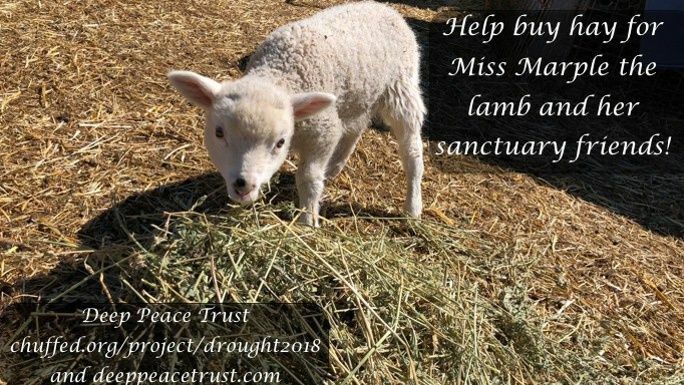 The sanctuary is currently facing a second winter of drought, and needs your help. 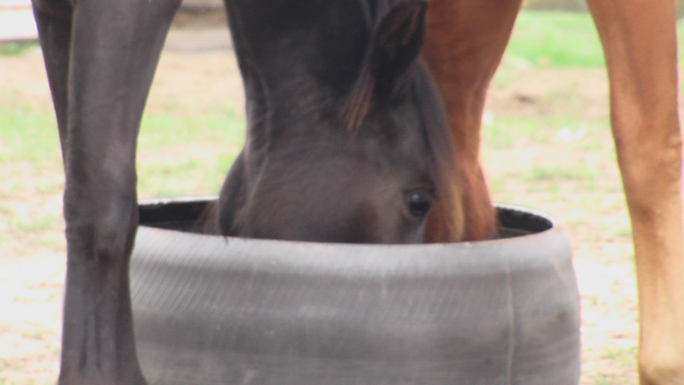 The animals eat thousands of dollars of hay every week. 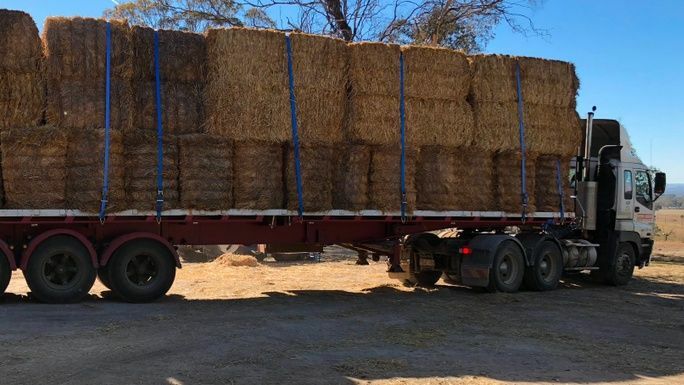 Help us by buying a full semi-load of hay. A truck like this arrives for the animals every week. 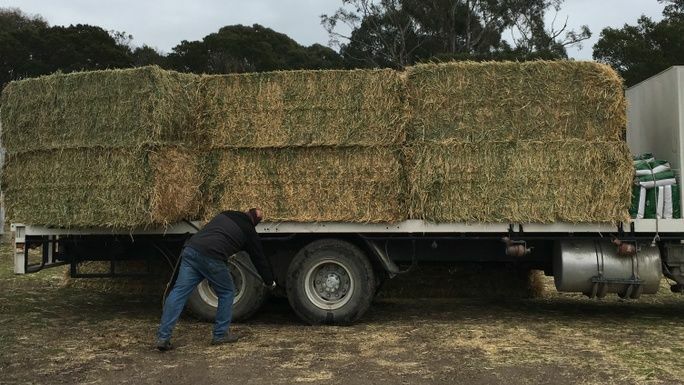 Help the animals by purchasing a small truckload of hay. This feed supplements the cow's hay, and helps keeps them happy, healthy, and well fed. 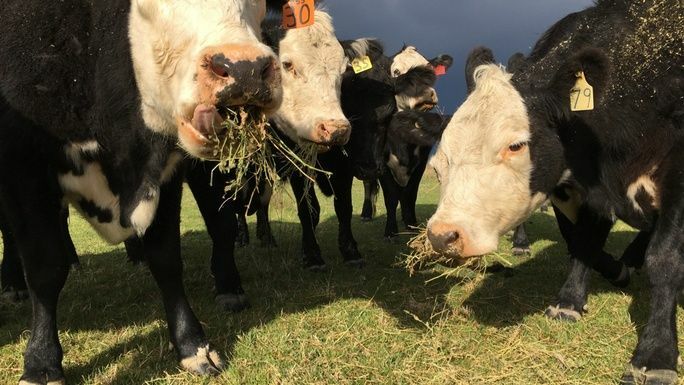 Buy a whole bale of hay, and feed all of the animals at the Deep Peace Farm Animal Sanctuary for one meal. The special needs animals at the sanctuary get a prepared meal every day that includes a serving of lucerne chaff as part of a satisfying, warming, healthy meal. Buy Bessie or one of her friends enough hay for a morning meal. This fundraiser is part of the "Help Miss Marple Survive This Drought" campaign. Together with other fundraisers, they've raised $47,674 so far!